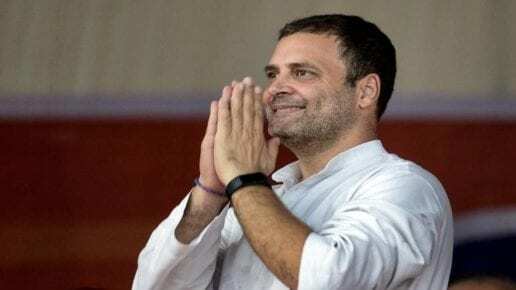 Amid the uncertainty over an alliance between the Aam Aadmi Party (AAP) and the Congress in the Lok Sabha polls, Rahul Gandhi tweeted on Monday that a tie-up between the two parties would rout the BJP and offered four of Delhi’s seven Lok Sabha seats to AAP. The Congress boss nudged his AAP chief Arvind Kejriwal saying that he has to act quickly to seal a poll pact. “An alliance between the Congress & AAP in Delhi would mean the rout of the BJP. The Congress is willing to give up 4 Delhi seats to the AAP to ensure this. But, Mr. Kejriwal has done yet another U-turn! Our doors are still open, but the clock is running out,” Rahul Gandhi tweeted. Arvind Kejriwal was quick to respond to Rahul Gandhi’s tweet and said there was no U-turn as talks are still on. “Your comment shows that you don’t really desire an alliance,” Kejriwal replied to Gandhi on Twitter. He also accused the Congress chief of helping Prime Minister Narendra Modi split anti-BJP votes in Uttar Pradesh and other states. On Sunday, Delhi chief minister Kejriwal said his party will do anything to “save the country” from Narendra Modi and Amit Shah. An alliance has been elusive so far and talks between the AAP and the Congress have floundered amid conflicting signals. Last week, the Congress had announced that it will contest all seven Lok Sabha seats of Delhi alone. Party in-charge for Delhi PC Chacko blamed the Aam Aadmi Party’s leadership for the failure of not having an alliance against the BJP in the national capital. Earlier this month, the two parties had restarted talks to discuss the seat-sharing formula for the seven Lok Sabha seats in the national capital. The talks between the two sides derailed after they failed to reach an agreement over seat-sharing in Delhi and Haryana. The AAP has been batting for an alliance with the Congress citing the need to defeat the BJP and replace the Modi government in the national interest. An earlier attempt to seal a deal fell through after Delhi Congress chief Sheila Dikshit putting her foot down which highlighted divisions in the party. Dikshit met Gandhi over the issue twice and conveyed her message to him. What is Atal Pension Yojana (APY)?